Everyone wants to feel like they belong, especially teens. For this reason, having healthy friendships is important. Not only will a few solid friendships help your child feel connected to her world, but studies also show that healthy friendships can have a positive impact on health and well-being. Friendships also are crucial when it comes to bullying prevention. Bullies tend to target kids who are socially isolated, but kids who have a strong circle of friends are less likely to become victims of bullying. But problems arise though when friendships are unhealthy. In these situations, your child’s friend may be a bully. As a result, the friendship is more harmful than helpful. Here are the top seven characteristics to look for in bully-proof friendships. In a healthy friendship, all friends are treated as equals with an equitable say in what they do, where they eat and where they go. Even if one or two friends tend to take the lead, they treat your child with respect and as an equal. But in unbalanced friendships, one person usually takes the lead by wielding power, being bossy or demanding that things are done a certain way. There is no collaboration or fair treatment. This type of behavior is especially apparent in mean girl circles. If your child is not treated as an equal in her relationships, then her friendships are not particularly healthy. Healthy friendships exist when friends are honest and trustworthy. In other words, they do not engage in gossip or rumors. They also keep things other people have shared in confidence to themselves. And, if they do make a mistake, slip up and share something, they take responsibility for their actions and apologize. One of the best ways to determine if your child’s friendship is healthy, is to watch how her friends respond when something good happens to her. For instance, if your child makes a sports team or an gets an honor, do her friends celebrate with her and congratulate her? Or, if your child makes a good grade or gets an award at school, are her friends happy for her or jealous instead? Jealousy and envy are very dangerous emotions that can lead children to bullying. Watch for signs of jealousy and if you witness anything be sure to talk to your child about the characteristics of a healthy friendship. One of the best ways friendships deter bullying, is when one friend stands up for or defends another when a bully targets her. A good friend will tell the bully to stop, help the victim report the bullying and support her once the bullying is over. Good friends are more than just bystanders. They form a support system that will help your child cope with bullying more quickly. Solid friendships are not exclusive friendships. In other words, when your child is in a healthy friendship her friends are supportive of her different groups of friends. Meanwhile, cliques are not supportive of friends branching out. They insist on exclusivity and often pressure others in the group to conform by ostracizing others. In a healthy friendship, your child will feel comfortable being herself. Additionally, her friends will be authentic and real as well. No one feels like they have to pretend to be someone they are not. But if your child is hanging out with fake friends, there will be a lot of pretending. Good friends respect another person’s boundaries. If your child asks a friend not to do something or says no to a request, a good friend would respect that. Conversely, unhealthy friendships involve a lot of peer pressure. 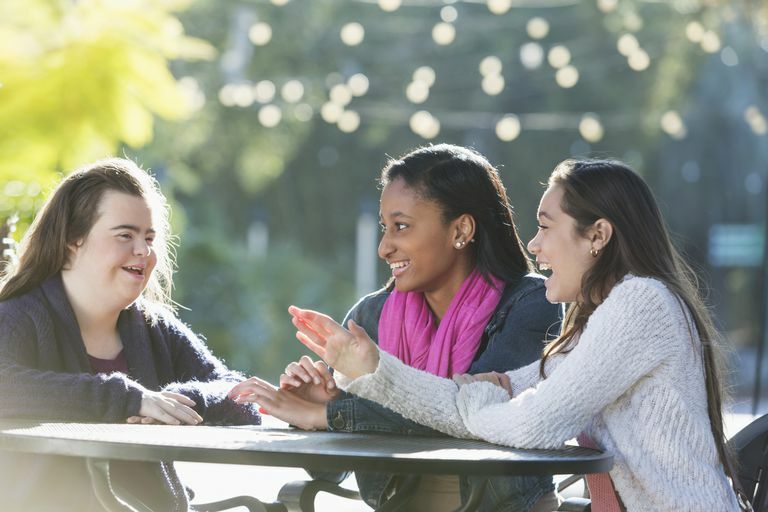 If your child’s friends pressure her to do things she doesn’t want to, including pressuring her to bully, be sure your child knows how to respond to peer pressure. If your teen's friendships don’t have these seven characteristics then it is possible your child may become a victim of bullying at some point. Talk to her about what constitutes a good friend and help her develop healthier friendships. Help her identify the difference between good friends and toxic people. Be supportive too. Making friends she can count on is not always easy. This process will take time.